Once I place my order how long will it take to arrive? All orders are shipped within 1-3 business days of the order being placed, from there USPS priority mail takes 1-3 business days depending on where you are located in proximity to our shipping location in Milwaukee, WI. What if I change my mind and want to return an item I purchased? We accept returns within 30 days of receiving the products as long as the products sent back are received at our facilities in same condition as they were when shipped. All processed returns will receive an in-store credit or refund based on customer preference within 10 business days of us receiving the merchandise back at our facilities. If any product needs to be returned due to our error, we will gladly pay or reimburse the shipping charges for the return shipment. What if the color or weight of disc I ordered becomes unavailable, do you substitute? No, if something you ordered becomes unavailable after ordering we will contact you by phone or email to see how you would prefer to proceed with the order. Why don’t you carry all the disc golf manufacturer molds? If I am not a lady, can I purchase from you? Of course! Anyone may purchase from us. 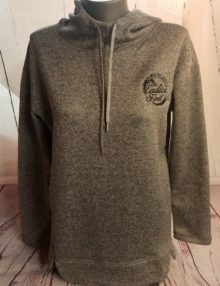 Whether you are a guy looking for some cool gear and discs for his best gal pal, or a man who likes to throw lighter discs or any of the other products we sell, we welcome all disc golfers to order from us. I am a small disc golf company that makes cool shirts, or other accessories, would you be interested in selling my products on your website? 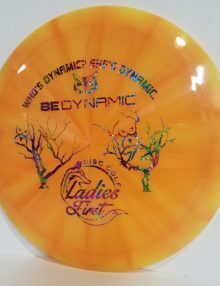 Yes, depending on the products, we are happy to entertain new vendors, please email info@ladiesfirstdiscgolf.com for more information. Why are many of your discs sold in lighter weights? Many of our products, especially drivers are available in light weights, as they tend to be much easier for new players to throw, especially newer females who may have not developed the proper form to throw heavy discs correctly. 150 class are generally the lightest weight disc, although we may offer some discs in the 130-150 gram range. Once a player has learned correct form and develops good snap and power she should certainly consider moving up to heavier discs, they tend to be easier to control and hold up better in the wind. Can you explain your item names and how to understand them? When reading our item name descriptions the first part is the model of the disc, then manufacturer plastic type, and lastly the weight range in grams that the disc is available in. 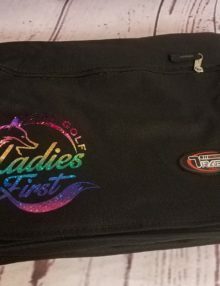 Where can I find resources for women’s disc golf such as running a ladies league or ladies tournament, or techniques and tips from other ladies?